SMSL DP1 has a remote control function and is easy to operate. Built-in SDB (SMSL Dynamic Bass) can effectively improve the sound reproduction. Supports CUE lossless playback. SMSL DP1 with multiple functions, uses 9V power adapter. 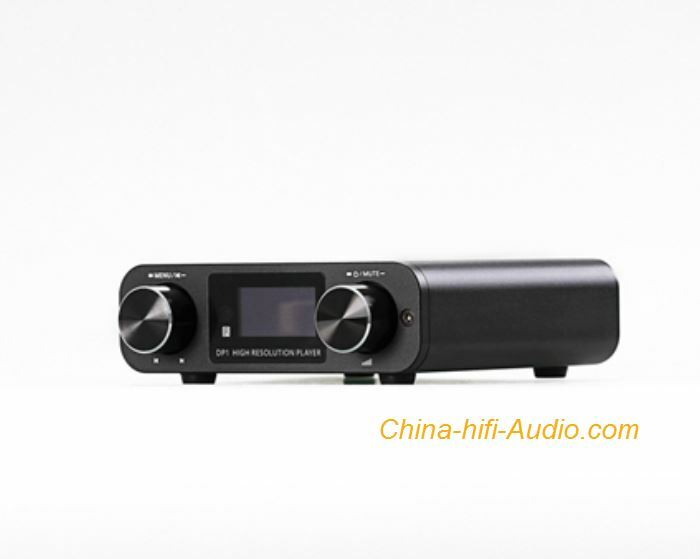 Digital optical/RCA analog/3.5mm analog headphone port output at the same time, support for 32 bit decoding perfectly, with the player+digital turntable+DAC there functions and built-in headphone amplifier. large dynamic range and excellent SNR (115 dB)，the internal design with AKM's Velvet Sound architecture. Three core digital audio professional processor: 32-bit RISC Processor + dual DSP digital audio processing unit, decoding 192k/32bit high quality music perfectly. Support WAV / FLAC /APE/AAC/ MP3 /WMA / multiple format. Mobile hard disk support up to 2T，SD card support up to 64G，the number of track scans can reach 1000. With remote control, easy to operate. Note: When use the U disk/mobile hard disk/SD card input, that supports NTFS/FAT32/FAT File System, the default system of many U disks and mobile hard disks is NTFS.